Have you ever been playing a game on your desktop and noticed your screen glitching or tearing? Normally, you would expect graphical anomalies to be caused by the graphics card's inability to keep up with the game. But, have you ever considered that it may be your monitor that isn't able to keep up with your graphics card? Most modern graphics cards from AMD and Nvidia are capable of running games at 120Hz, or 120 frames per second, or greater. Most monitors are only able to display content at 60Hz or 60 frames per second. This is where we start running into problems. When your graphics card is outputting more than the monitor can process, you will end up with the screen displaying two partially loaded frames instead of one full frame on the screen at a time. This effect causes screen tearing. Screen tearing, which only occurs for a fraction of a second, is still noticeable and has plagued gamers since the dawn of powerful graphics cards. This is where one particular graphics tweak comes in handy. What if I already have a monitor and it's not compatible with either G Sync or FreeSync? So is V-Sync something I should be using? Do I really need a FreeSync or G Sync compatible monitor? V-Sync, also known as vertical sync, forces your graphics card to slow down and fall into sync with your monitor. This allows your monitor to display exactly one frame at a time and eliminates screen tearing. This has been a blessing to gamers and comes in handy in a variety of popular gaming titles. While V-Sync works well with many games, there are some situations where not using V-Sync actually works better. 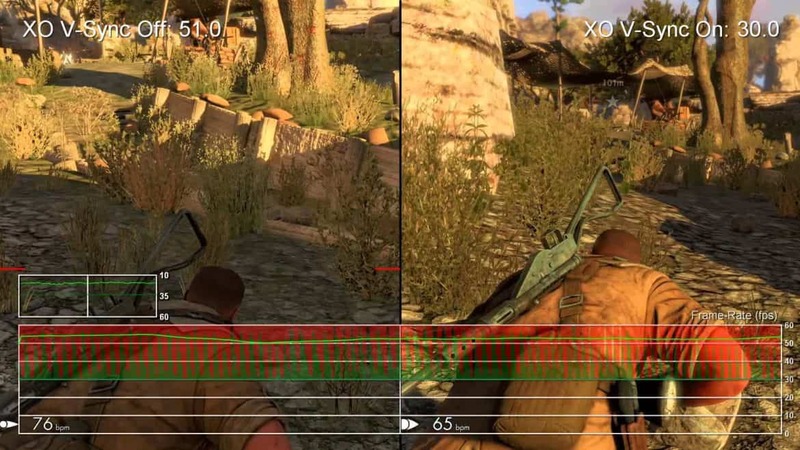 With the rise in graphic demand of popular first-person shooter games and other high demand games, scenes where there are a lot of objects moving on the screen at once can cause your graphics card to actually output frames at a lower rate than the monitor displays at. This forces the monitor to continue to display the last frame while the graphics card processes the next frame. As a result, it causes glitch and lagging on screen, which can be worse than the screen tearing that you were trying to prevent in the first place. So now, we are stuck with two bad options. Turn V-Sync off and live with the screen tearing, or leave V-Sync on and risk lag. Both of these will cause problems in games - screen tearing, because it can happen constantly; lagging, which usually happens in the heat of the moment or when you are in a game's overworld. Thankfully graphics card manufacturers like AMD and Nvidia have both come up with creative solutions to the shortcomings of V-Sync. The Nvidia G Sync and AMD FreeSync. Both of these technologies work to eliminate the lagging issue caused by V-Sync. They both work in similar ways as well, but, while they have many similarities, they also have some slight differences. NVIDIA G-SYNC™ can give you more than what you want and expect in a gaming experience. You’ll experience a smooth and tear-free gameplay, and the refresh rates can go up to 240 Hz. HDR is one of the unique features, as well as the very low motion blur, and the overdrive frequency dependency. These are the advantages that has made the G-SYNC displays become a go-to equipment of the novice and enthusiast gamers alike. Nvidia describes their Gsync technology well. It supports high refresh rates, reduces motion blur, most commonly seen when turning or moving quickly. It also supports HDR monitors so that you can get the best possible picture from your G Sync compatible monitor. With all that, does it have any downsides? Unfortunately, the answer is yes. 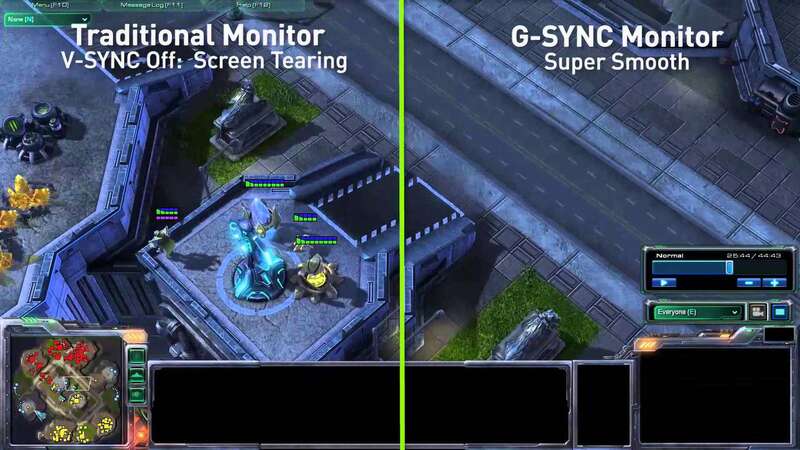 G Sync compatible monitors require special proprietary equipment from Nvidia. This means that in order to manufacture G Sync compatible monitors, they must purchase the technology from Nvidia. This turns a good profit for Nvidia while also allowing them to keep a handle on what is happening with their equipment, as well as maintaining similar experiences across all manufacturers. Since Nvidia is a very popular brand for gamers, there are a wide variety of manufacturers to choose from when selecting a G Sync compatible monitor. The AMD FreeSync technology has put an end to the broken frames, choppy gaming experience, artifact-free performance in any framerate. The FreeSync™ technology resolves the communication issues between monitor and processor, which eliminates choppiness and image tears for a smooth gameplay effortlessly. This is only applicable in selected AMD APUs and GPUs though. AMD simply describes their technology as a monitor feature that stops choppy gameplay. 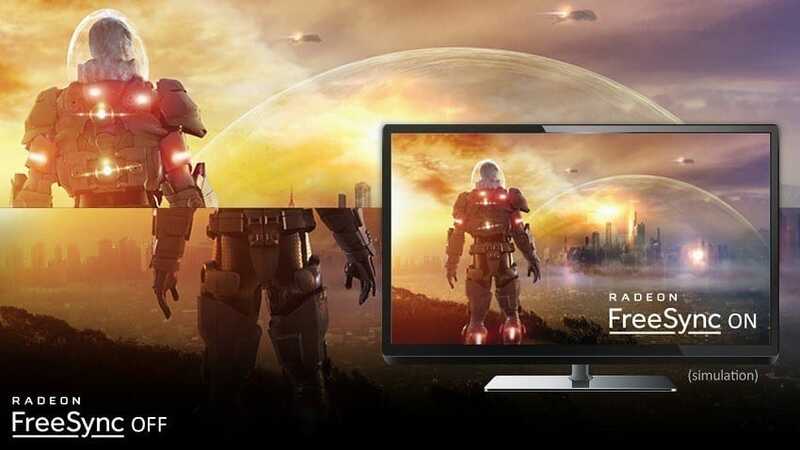 Freesync supports compatibility between a FreeSync capable monitor and a FreeSync supported Radeon graphics card. A list of compatible cards can be found on AMD's website. FreeSync, similarly to Nvidia's G Sync, supports HDR monitors as well as guarantees performance all the way down to a low 30 frames per second. Monitors from popular manufacturers like Samsung, Acer, and ASUS are supported; meaning that you can get an incredible quality monitor, freeSync aside. FreeSync, unlike G Sync, Works off of the DisplayPort Adaptive-Sync technology included in the DisplayPort 1.2a specification. This means that in order for FreeSync to work, you have to use a display port. So if you go the FreeSync route, make sure that your equipment includes a display port. Because FreeSync runs off of an open source protocol, manufacturers are able to freely include FreeSync into their monitors. This means that you have a wide variety of monitors and manufacturers to choose from as well as lower costs for the manufacturer and the end user. Although FreeSync and G Sync work using different technologies, they still have many things in common that you won't have to put much thought into when deciding which technology to spend your hard earned money on. HDR expands the contrast extremes present in standard dynamic range. Simply, HDR allows a monitor to display both incredibly bright and super dark elements on the screen at the same time. This allows a much greater depth and detail without washing out the screen. While it does wonders for TV and movies, it is especially important in gaming because it allows the player to make out more detail in shadows as well as keeping the picture from washing out in extreme brightness. Both FreeSync and G Sync eliminate lag caused by V-Sync by allowing a component to act as the middleman between the monitor and the graphics card. It receives the signal from the graphics card and disperses the signal to the monitor so that it will display exactly one frame on screen at a time. Whether you opt for FreeSync or G Sync, you will be happy to know that they basically do the same thing. As I've mentioned a few times, there are a few differences that may sway your decision depending on your setup. While both good, they aren't compatible with one another. This means that if you have an Nvidia setup, you will need to make sure that you purchase a G Sync monitor. Conversely, if you are using a Radion graphics card, you will need to make sure that you are purchasing a FreeSync capable monitor. It should be noted that you are able to use a FreeSync monitor with an Nvidia setup and vice-versa but you will not receive the benefits of their respective technologies. Because of Nvidia's choice to go for proprietary hardware, G Sync capable monitors tend to be more expensive on average. FreeSync, on the other hand, is open source and compatible monitors can be found for under $200. If you haven't yet started your build, this is something to consider when making your graphics card selection. Ultimately, whichever option you chose will get rid of the lag so that V-Sync is free to eliminate screen tearing, giving you the edge in online first-person shooters and other graphically intensive and open world games. Your in-game distractions and irritation will be gone and you will be free to focus on what's really important. At this point, you may be thinking to yourself, "I already have a monitor. Is upgrading going to make a huge difference?" If you don't have a compatible monitor, fear not. Before you even think about upgrading, consider whether or not you're already using V-Sync. It's fine if you aren't. Not every game requires V-Sync. And you don't necessarily need a compatible monitor if you aren't using V-Sync to begin with. Depending on your setup and the graphical requirements necessary, you may not even have any issues with screen tearing. If you are a pro gamer, very competitive online or have already put money into an expensive gaming setup, I would recommend that you invest in it. Otherwise, if you aren't noticing any screen anomalies, you most likely don't need to worry about it. It really depends. V-Sync, as I mentioned above, has its place. If you are on the fence, some questions to ask yourself would be, do I currently experience screen tearing? If you do not experience screen tearing on any of your games, then you don't need it. If you do experience screen tearing, then enable V-Sync and monitor whether or not it causes any lag. If you're not sure whether you should upgrade your monitor or not, you can simply tell by finding out if you are using V-Sync and if V-Sync is causing any lag in your games. If it is enabled and you are experiencing lag, then upgrading your monitor is a good idea provided that you have the right graphics card. Overall, V-Sync works well on a case to case basis. It's not one of those general settings that impact your visual experience. It's not going to do anything for your average in-game experience. If you're experiencing screen tearing in the tensest moments of your gaming session, then it's the setting for you. If you're a pro gamer, I guess you may already have the right settings and monitor. If you don't and you are experiencing screen tearing or lag caused by V-Sync, it's probably time to upgrade. V-Sync can be a complicated topic but once you understand it, it can help you not only understand what settings you need but also if you have the right hardware. When you boil it down, there are only a few uses for it, however it's an important setting to include regardless. Now it's your turn! What kind of gaming setup do you have? Are you a pro gamer? Did you know what V-Sync was before reading this and do you experience screen tearing? Did we influence your setup at all? Let us know in the comments and let us know if you learned anything! How Much RAM do you Need for Gaming? A friend tried explaining to me how vertical sync works but wasn’t quite clear. Now I know the importance. Will go for it ASAP. Thanks for putting up this. Looks like V-Sync is not compatible with my PC, it slows down my graphics card as mentioned here, but I really need it for other functions it plays. What do I do?